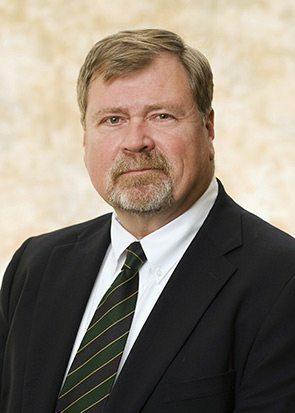 Bill's practice includes a concentration in employment law, representing employers in wide variety of matters ranging from advisory guidance in single employee investigations and discipline issues to compliance issues involving larger employee groups under the Worker Adjustment and Retraining Notification (WARN) Act in layoffs and reductions in force. In adversarial matters, Bill has represented national employers before the EEOC and in a variety of litigated actions in state and federal courts throughout the firm’s three-state practice area along the coast. Bill has advised and defended employers in claims involving non-compete agreements, wage and hour violations, wrongful termination, sexual harassment, employment discrimination on a variety of protected classifications, and retaliation. He has also handled claims and issues arising under the Family and Medical Leave Act (FMLA), the Americans with Disabilities Act (ADA), and the Uniformed Services Employment and Reemployment Rights Act (USERRA). In addition to his employment and litigation practice, Bill also has significant experience representing telecommunications providers in their contractual relationships with state and local governments along the Gulf Coast. Bill served as General Counsel and Legal Advisor to the Governor of Alabama, a state cabinet appointment he held when he joined the Firm in 1992. Prior to joining the Governor’s cabinet, Bill served as an Assistant Attorney General in the office of the Alabama Attorney General, prosecuting violent felonies, financial fraud and ethics law violations by public officials in most of Alabama’s 67 counties. He also has served as a Special Assistant U.S. Attorney and as General Counsel to the Alabama State Ethics Commission, and in private practice has presided as a Hearing Officer for the Alabama Environmental Management Commission. Bill has been a member of the Alabama Law Institute Council, and the Judicial Study Commission. He currently holds the rank of Lieutenant Colonel in the Judge Advocate General’s Corps of the U.S. Army (Reserve).